Continental Gold with 17.2m of over 100g/t gold equivalent at Buritica. 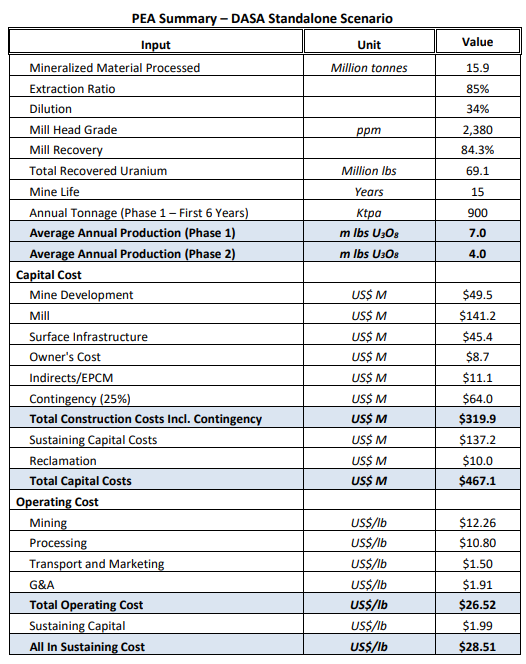 Dasa delivers grades that could rival uranium projects in the Athabasca Basin. Wesdome with bonanza gold grades at Eagle River. 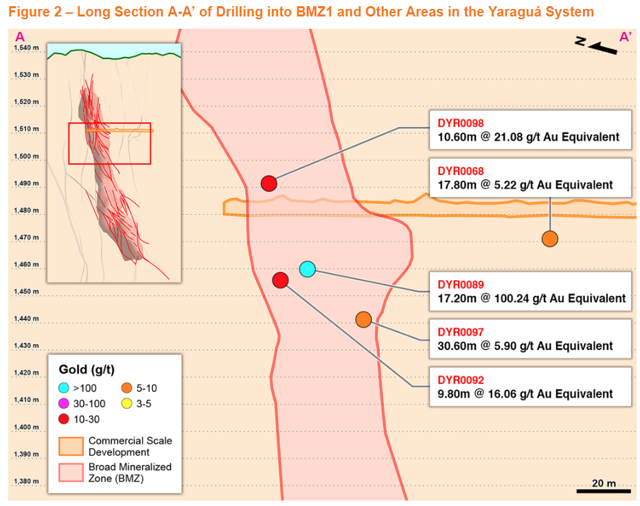 On April 2, Continental Gold (OTCQX:OTCQX:CGOOF) released assay results from 15 holes drilled into the Yaragua system as part of the infill and definition drilling program at its Buritica project. 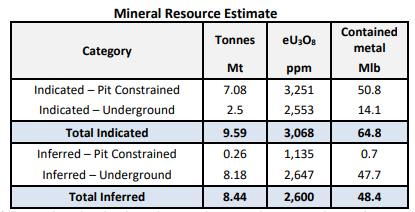 The best result was 17.2m @ 99.95g/t Au and 21.6g/t Ag from 50m in hole DYR0089, which is equal to 1,716(AuEq.)m. Continental is trying to prove a theory that infill drilling improves the grade of master veins at Buritica and that the vertical dimension of high-grade veins remains continuous at depth. The company also thinks there may be broad mineralized zones, which encompass much of the material between the project's defined veins. Continental Gold is one of my three gold portfolio companies and I've already covered the company several times here on SA. Continental plans to continue exploration at Buritica very aggressively with up to 73,500 meters of drilling - 55,000 meters of capitalized definition drilling and 18,500 meters of exploration-led infill drilling. The company's shares soared in March as it closed a $175 million financing package which should allow it to fully fund the construction of Buritica. 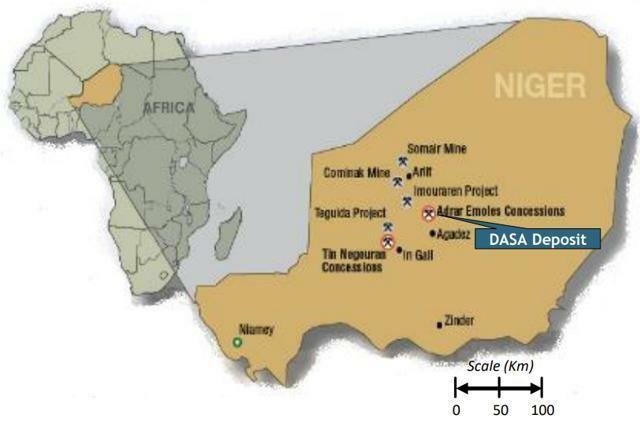 On April 3, Global Atomic (OTCPK:OTCPK:SYIFD) announced assay results from several holes drilled in 2018 at its Dasa uranium project, and the best interception was 3.5m @ 22.52% U3O8 from 235.5m in hole ASDH563. This is equal to 1,061(AuEq.)m. What's interesting is that this hole was already featured in the January 27 edition of this series with an interception of 98m @ 1.71% U3O8 from 163.2m for 2,576(AuEq.)m. 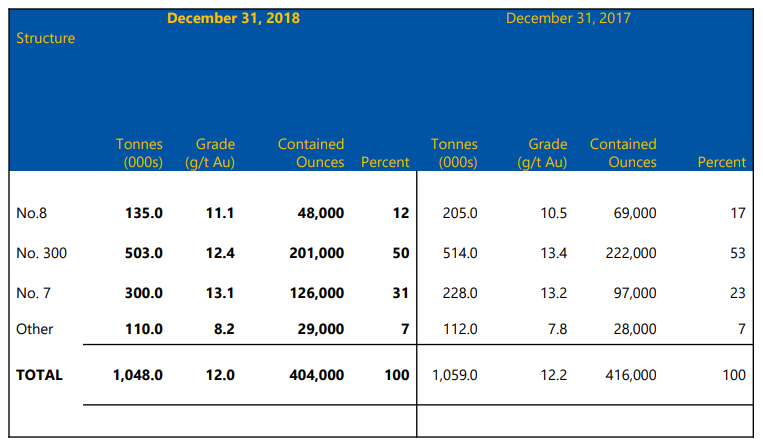 Global Atomic President and CEO Stephen Roman said that the recent assay results continue to define an extraordinary sandstone hosted Tier 1 uranium deposit and that the consistency of the structure, high grades and thickness make it amenable to large-scale mining with low operating costs. 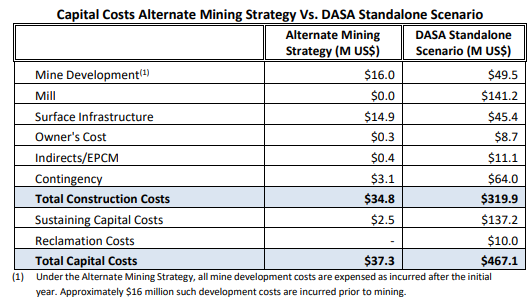 I expect the economics of Dasa to improve significantly in the near term as the company plans to release an updated mineral resource estimate in the second quarter of 2019. On April 1, Wesdome Gold Mines (OTCPK:OTCPK:WDOFF) announced initial surface exploration drilling results from the 2019 exploration program at its Eagle River project and the best interception was 0.3m @ 3,389g/t Au from 99.2m in hole ERM-2019-36. This is equal to 1,017(AuEq.)m. Since the start of 2019, the company has continued surface drilling with a 7,000-meter program to follow up on initial results from the drilling to the west of the mine diorite in late 2018. The program was designed to test the up-plunge potential of the 300 and 7 zones within a sequence of volcanic rocks. I've previously covered Wesdome in this series, but then the focus was on the Kiena mine complex in Val d'Or. Eagle River is the company's main producing asset and the cash flow from it is funding a C$23 million exploration and development program at Kiena. The project consists of two central deposits feeding an 850 tpd mill, and it has proven and probable reserves of 404,000 ounces of gold. In 2019, Eagle River is expected to produce 69,000-76,000 ounces of gold. Continental Gold has yet again proven why Buritica is considered one of the most exciting gold projects in the world. Its exploration potential is phenomenal with inferred resources of more than six million ounces of gold. The company recently secured enough funding to finish the construction of the project, and I view it as very positive that it kept its word that the financing wouldn't be dilutive. 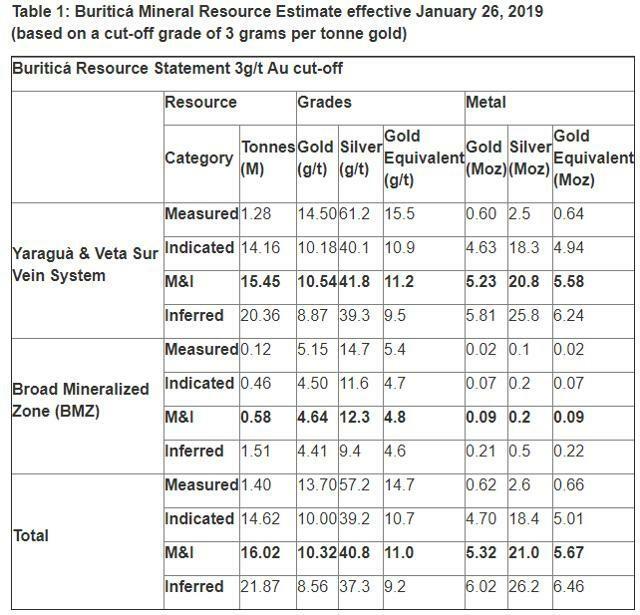 Keep in mind though that the economics of Buritica have deteriorated over the past several months with an increased initial capex and higher all-in sustaining costs of around $600 per ounce. I still view Continental as a compelling investment, but I remain cautious due to the cost issues. 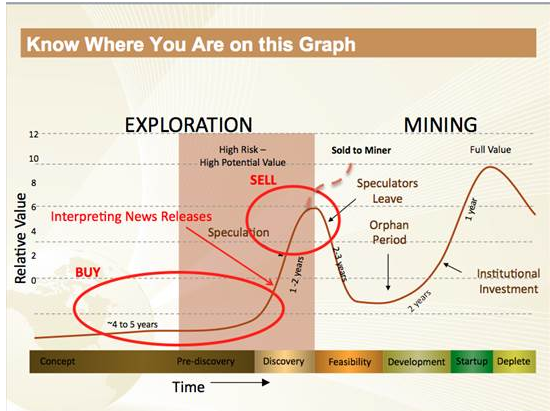 I wouldn't be surprised if Newmont (NEM) launches a takeover bid sometime over the next few years as it's unlikely for such a valuable project like Buritica to remain in the hands of an intermediate gold miner. The recent drill results from Dasa look great and the grades are of the caliber of Arrow in the Athabasca Basin. Regarding the development of the project, I like the alternative option as it has a much lower initial capex and I don't see how Global Atomic can fund development in the standalone scenario without massively diluting shareholders. I really like Global Atomic's recycling business which produces zinc and could be valued at over $150 million alone. However, the new zinc plant will be undergoing an upgrade in 2019 which means that there will be several months of downtime, which could create funding issues for Global Atomic in the short term. Dividends from the zinc operation are expected to resume in the second quarter of 2020. As mentioned before, I prefer to wait until the plant enters production again before considering investing in Global Atomic. Recent drilling at Eagle River has delivered spectacular grades, but I view it as a small operation with low reserves and unimpressive costs. Kiena looks nice, but it's also small with measured and indicated resources of 582,600 ounces. Overall, I think that Wesdome's market cap of over $450 million is too generous. Disclosure: I am/we are long CGOOF. I wrote this article myself, and it expresses my own opinions. I am not receiving compensation for it (other than from Seeking Alpha). I have no business relationship with any company whose stock is mentioned in this article.